So guess what? I'm going on vacation! Woohooooooo!!! GAH! I AM SO EXCITED! I've never been on a fabulous vacation before...so here we go! 1. Enter my GIVEAWAY - it's not too late! I've only heard of this concept recently, and I think I'm a fan. Browning the butter adds some really rich flavor, and actually halves the amount of butter in the cookies! (Therefore they are health food. Work with me here.) 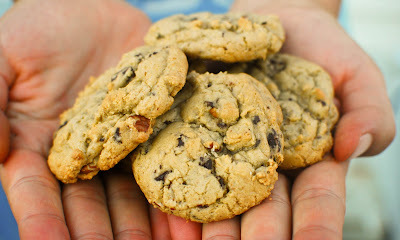 They're really chewy and flavorful - I want to start experimenting with browned butter in other cookies (oatmeal cookies with this technique would be awesome!). In a small saucepan, heat the butter over medium-high heat until melted. Keep cooking, swirling the pot occasionally, until it starts to turn brown and smell nutty. Remove it from the heat, pour it into a bowl (scrape out all the nice browned bits at the bottom) and stir in the sugars. This should cool it down somewhat, but wait a few minutes anyway before stirring in the eggs and vanilla. Then add the flour, baking soda and salt and stir with a spatula until almost blended; add the chocolate chips and stir until the dough comes together. Refrigerate for at least an hour or two, or overnight. When you’re ready to bake, preheat the oven to 350F. 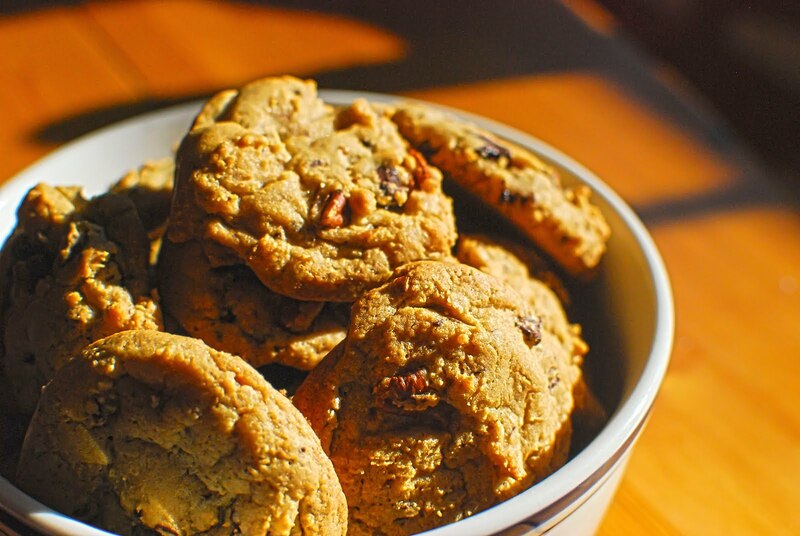 Scoop out walnut-sized balls of dough and space them an inch or two apart on a cookie sheet. Bake for 10-12 minutes, until golden around the edges but still soft in the middle. Transfer to a wire rack to cool. Hope you like the cookies - I'll be back on the 23rd to tell (/gloat) about my fabulous Central American vacation!